A man has denied attempting to murder a police officer during a three-hour armed stand-off. 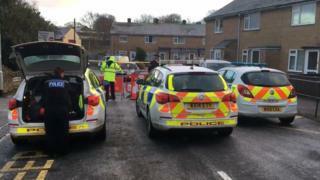 Daniel Hannam, 32, was arrested after the siege in Castle Cary, Somerset, on 23 January. Appearing at Taunton Crown Court via video link, he denied a total of eight charges, but pleaded guilty to a robbery carried out in Yeovil on 17 January. He was remanded in custody and told a trial date was yet to be fixed. Mr Hannam, of no fixed address, further admitted a charge of possessing a firearm with intent to cause fear and violence relating to the robbery in Yeovil.